Greater Washington Society for Clinical Social Work - Leadership Wine and Cheese – Come one, Come all! 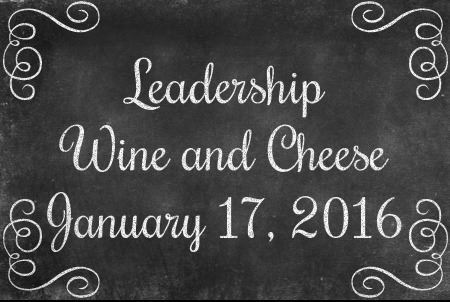 Leadership Wine and Cheese – Come one, Come all! Wishing every GWSCSW member a healthy, productive 2016! Please help us celebrate the New Year with a few hours of fun and conversation about where we are and where we’re heading. If one of your resolutions for 2016 is to become more active in the Society, this is the time to act! Let’s toast our successes and plan for our future. Come join us and find out how you can make a difference. We would love to see you!